This listing is for a PDF quilt pattern. 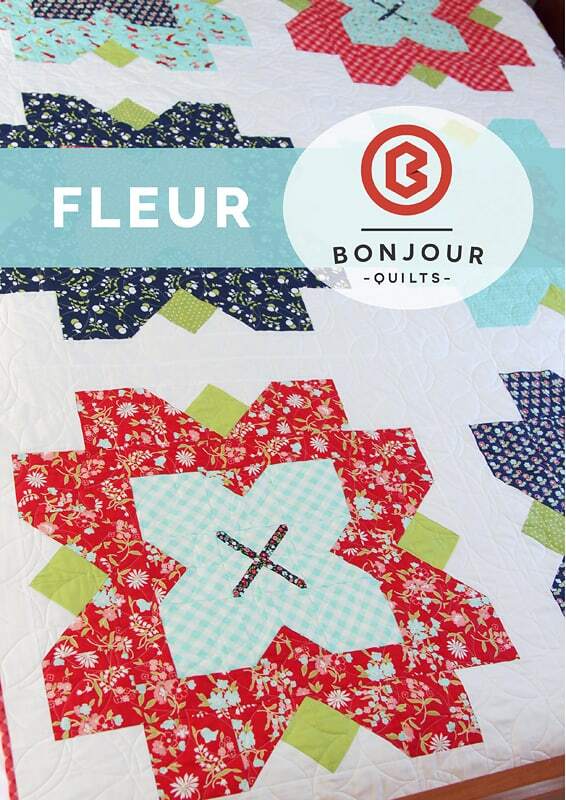 Fleur is a queen sized quilt pattern that features 9 oversized blooms. The blocks finish at 28″ square; the quilt finishes at 84″ x 84″. The pattern contains clear and detailed instructions and diagrams, as well as a fabric cutting guide that makes preparation easier. A lot of work has gone into making sure every seam in this block that can nest, does. And that includes when you join all the blocks together at the end!